Printed at United States Playing Card Company's Cincinnati plant, these cards were manufactured with premium grade casino bee card stock and the ever popular proprietary cambric finish. Each deck contains a tamper resistant Bee security strip as well as an authentic blue seal (sticker), which helps maintain packaging integrity. Blue diamond backs, white criss crossing. Red diamond backs, white criss crossing. Cambric Finish Playing Cards for Gamblers! Cambric Finish Playing Cards for Magicians! Magicians, Cardists, Gamblers & Collectors Appreciate Bees. 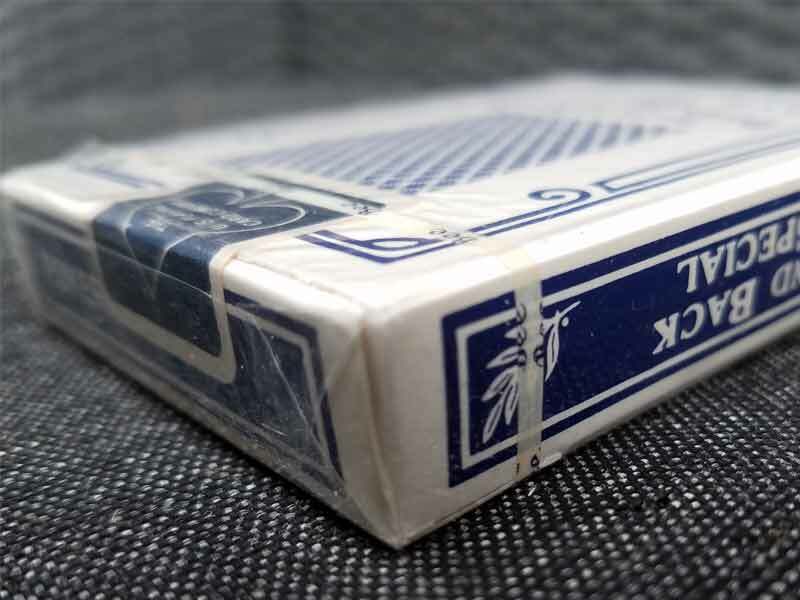 Prior to USPC's move from the Cincinnati, Ohio factory to their Erlanger, Kentucky factory in 2009, they used blue colored stickers to seal the tuck box. 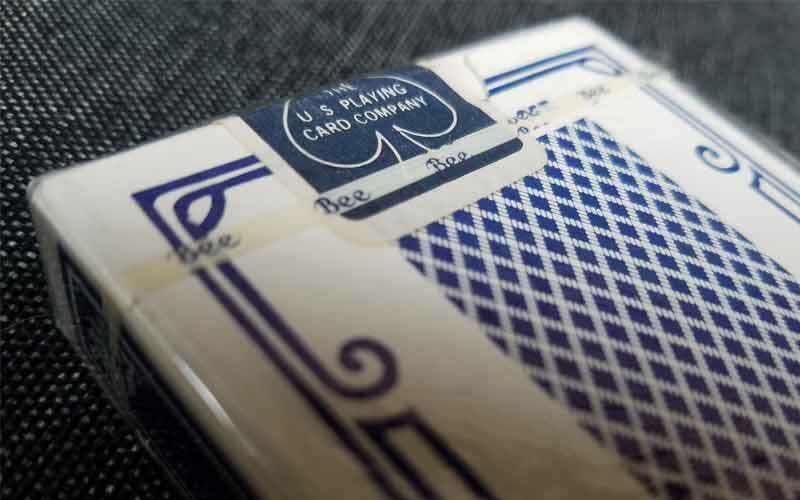 Some believe decks donning these blue seals are noticeably higher in quality than other decks currently manufactured by USPC. 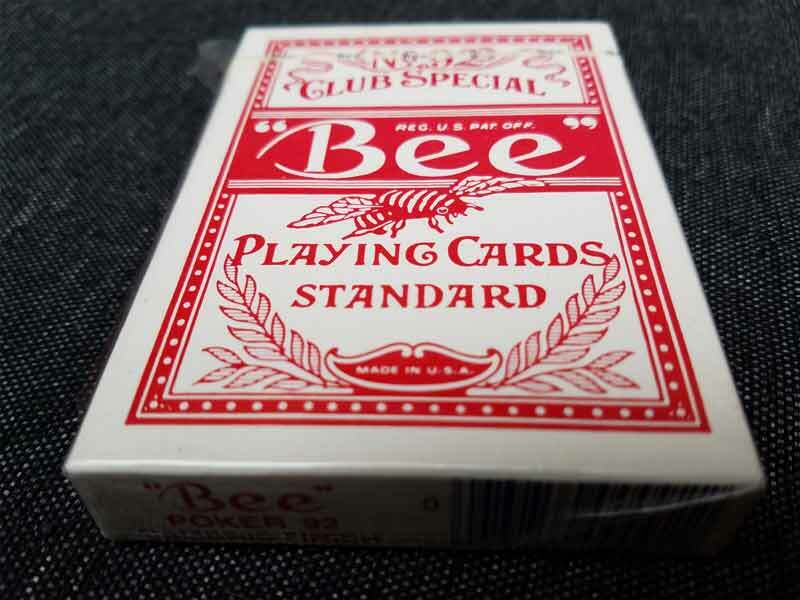 Known for their hypnotic diamond back design, USPC Bee brand playing cards are made with premium raw materials & considered more durable than the average paper card on the market today. This makes them the choice for gamblers, magicians & cardists. These cards are poker sized, plastic coated & come with a cambric finish for smoothness and longevity. These Bee decks come cellophaned, and have two jokers. These are 100% original. NOT facsimiles. 1st come - 1st serve. 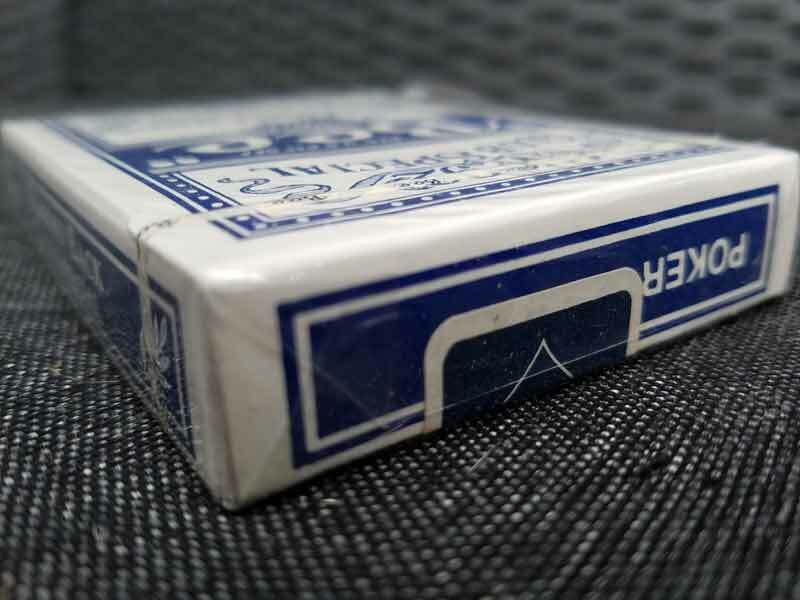 These blue seal bee playing cards are no longer made the way they used to. USPC don't print with the same presses nor are they using the same pressmen operating the machinery. These are a relic from the past, so enjoy them while you can. Factory sealed & individually cello-wrapped. Blue Seal Bee Playing Cards aren't for everyone. They are borderless, plus they feel slick & slippery. Because they are Bee stock, they feel thicker than a Bicycle deck. If this sounds like something that interests you, then Blue Seal Bees are right for you.  Purchase some Bees today or still have questions? Just Ask.